‘Tis the season… of ghosts, witches, curses and supernatural mysteries. Autumn is my favorite season. It’s not just the blazing leaves ranging from ruby red to gold, nor the culinary delights of pumpkins, cranberries and sweet potatoes… it’s something deep in my Celtic soul that seeks rebirth during this time of year as the nights come earlier and mists shroud trees and fields. This is a time of reflection, gratitude and renewal. Autumn reminds me of the cycles of time – life, death and rebirth. I’m a sacred site junkie, and was fortunate enough in younger years to stand within Stonehenge at sunrise, sit in a crop circle, and visit many places of mystery and power around the world. I’ve lived in a haunted house on the side of an isolated Irish hill, and knew no greater fear than having to get out of my car and enter the dark house alone. I’ve collected sticks, stones and feathers all my life. Everything has a purpose. Spirit tells me things in symbolic speak – whether it’s a red-tailed hawk soaring above my car, or an ant hill in my lawn, there is a message. My mother feared her psychic gifts. Since she was born in September and died in November, I’ll share a story here today in her honor. She went home to Ireland to die, so I was thousands of miles away at the time, in the home she’d made on the far side of the Atlantic. We’d said our good-byes before she left. One morning my father, who was with her, called and said she’d surely not make it through the day… that he’d phone after she passed away. At three o’clock in the afternoon, as I stood in her kitchen looking out over her swimming pool, I suddenly felt her around me. A little decorative tile she’d kept propped up on the kitchen countertop for years slammed face down onto the counter. I picked it up and read, ‘today is the first day of the rest of your life.’ In that moment I knew she was gone. I knew my father would phone soon, and sure enough I got the call ten minutes later. She’d stopped to touch me one more time on her way out and had summoned enough energy to put on that impressive supernatural display. 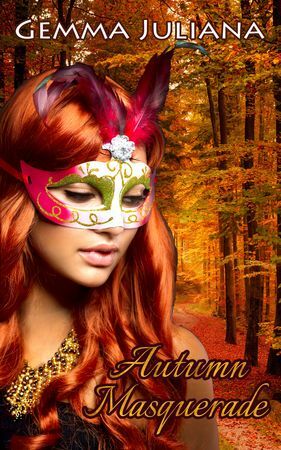 So, let me take a moment to share a bit about the novella – Autumn Masquerade – I released it this time last year. It’s a tribute to the beauty of this glorious season. Anna works in the corporate world and carefully guards her secret – she is a gifted psychic medium who speaks with the dead. Circumstances force her to be the only psychic at a luxurious masquerade ball in a palatial mansion, and she fears being unmasked. What will her boss think if he finds out she is psychic? Even if he doesn’t fire her, will he ever take her seriously again? Perhaps what is really bothering her is that beneath those concerns, she has fallen in love with the handsome widower. His rejection would leave her devastated. Neither of them knows that help is only a dimension away. His deceased wife decides the only way they’ll ever get their act together is with some assistance from beyond the grave. Have a splendid autumn and be sure to read some wonderful stories. Delilah, thanks for having me as your blog guest today. 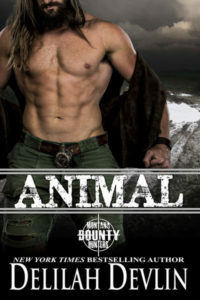 You can buy Gemma’s books on Amazon and visit her website http://www.gemmajuliana.com. This entry was posted on Monday, October 6th, 2014 at 6:00 am in General. Tagged: Guest Blogger, psychic. You can feed this entry. Both comments and pings are currently closed. That cover is simply stunning! Thank you so much for openly sharing about yourself, your mother, and those timely words of advice. 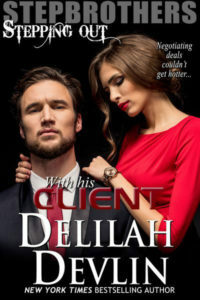 Delilah’s right, the cover is beautiful, the story sounds equally so. I had an internet malfunction today, so wasn’t able to visit earlier. Thanks so much for having me here today! Cara, Thanks for stopping by. I’m glad you enjoyed the blog post and book cover.